We have a new and exciting charity challenge for you to get involved in – Widehorizons Adventure Challenge on Saturday 4th October 2014. The event, supported by Nikwax and Páramo, challenges teams of two to four to cycle 37km, canoe 3km, and run 10km (50km in total), across the beautiful South-East countryside, including Bedgebury Forest and Scotney Castle. 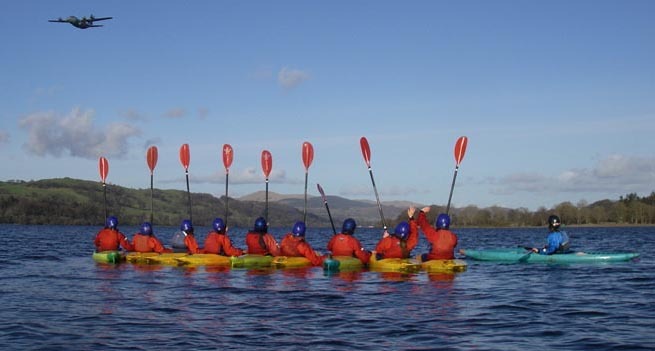 All funds raised will go towards providing disadvantaged children with their first ever outdoors adventure, as part of the Nikwax, Páramo and Widehorizons ‘First Adventure Days’ campaign. Just £27 can give a child their First Adventure Day and, with your support, we are aiming to provide 10,000 First Adventure Days! The challenge will begin at the beautiful Bewl Water reservoir in Kent, and each participant has a fundraising target of £270. And, sign up by midnight on Friday 2nd May and be entered into a prize draw to win 1 of 20 Páramo or Nikwax prizes! For more information or if you have any questions, contact the Widehorizons’ Events Team on 0845 600 65 67 or email events@widehorizons.org.uk.